98/08/06--N.C. FAIR--DAN CAPPELLAZZO PHOTO--STEPHANIA OHOL, OF CORNELL COOP EXT. 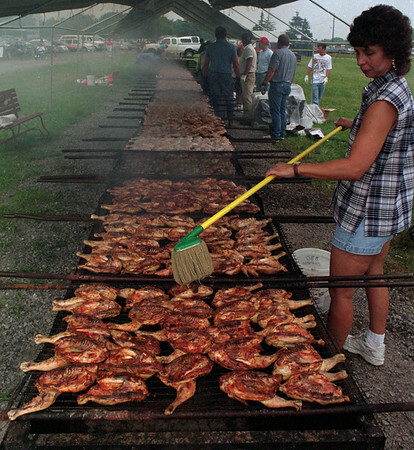 BRUSHES ON THE SPECIAL N.C. FAIR CHICKEN SAUCE AS 1000 1/2 BIRDS COOK. THE 80FT LONG GRILL WILL RUN ALL DAY AND INTO THE EVENING FOR THE 6$ FAIR DINNERS.